Converts the popular Losmandy "D" Series saddle to a "V" Series saddle. 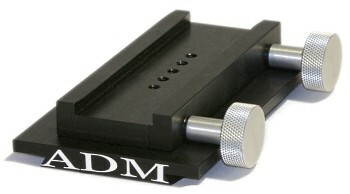 The D2V is a 7" long DUP with a 6" "V" series saddle bolted to it. The DUP simply slides into your existing saddle. The extra long knobs on the "V" Series saddle will allow it to work with the Celestron CGEM Mount.